The Remote Shooting Platform from Jobu Design is a heavy-duty camera platform for remote-controlled shooting. It mounts any ball head, small gimbal, or other accessory with a 3/8"-16 mounting stud. The platform features four rubberized feet to keep it steady and a set screw, that will not vibrate out, to secure your ball head or gimbal. 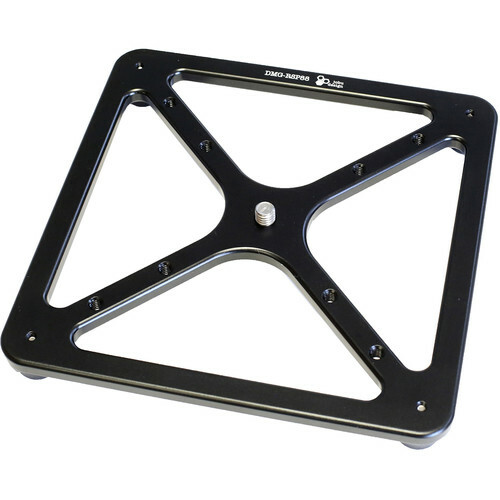 The Remote Shooting Platform is made of 100% CNC-machined billet aluminum. Box Dimensions (LxWxH) 8.4 x 8.3 x 2.7"